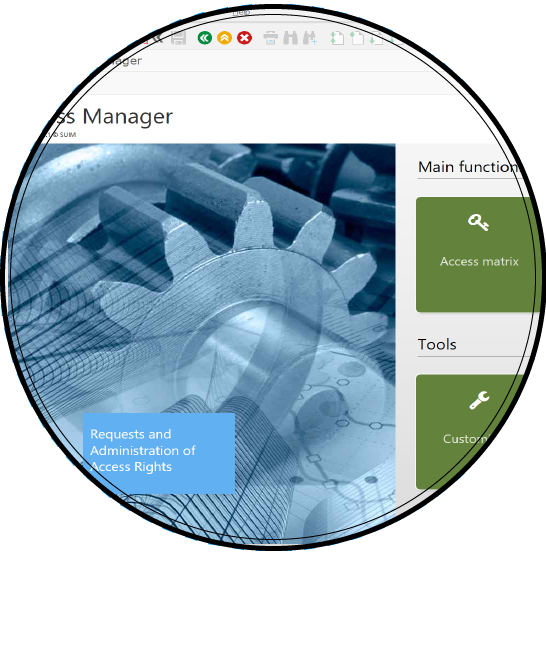 SUIM’s Access Manager is a central authorization management system. It also enables you to manage the most complex permissions clearly, in accordance with the organization of your company and in real time. It is also a reliable tool for provisionning authorisations to end-users. Derivatives of roles are automatically generated and distributed across your entire system landscape. 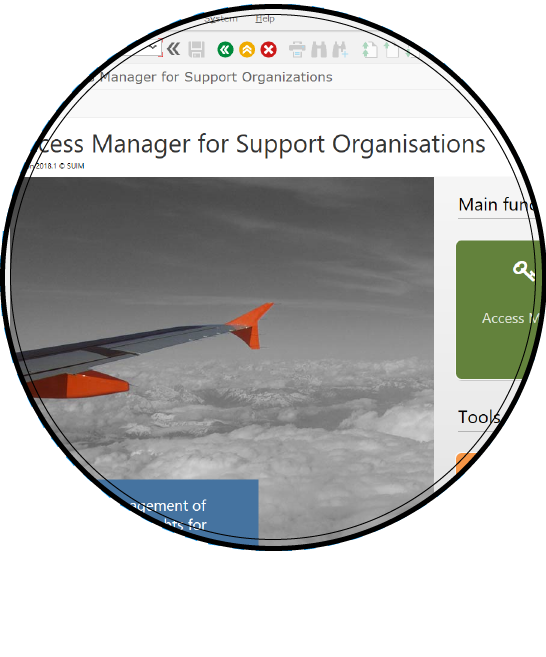 SUIM’s Access Manager for Support Organisations (AMSO) is a central authorization management system for support and technical users. It also enables you to manage the most complex permissions clearly, in accordance with the system landscape of your company, and in real time. It manages all types of authorization elements, including BW analysis authorizations, HANA permissions, LDAP Groups or SAP-Portal groups. In everyday use, your users should only have appropriate authorizations for their jobs and areas. This is true for ordinary users, as well as for administrators, developers, and your on-call support. In special cases, however, expanded authorizations are necessary. For such situations, SUIM’s Emergency Handler (EH) allocates users greater authorization rights for limited period. During this period, all user actions are recorded for audit purposes. 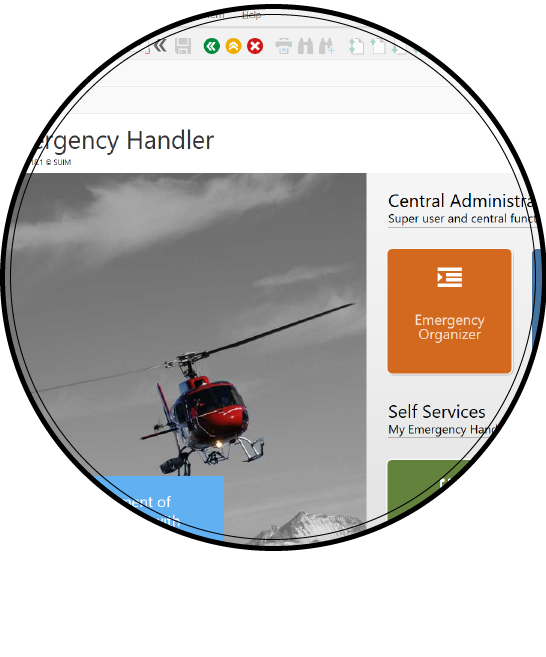 SUIM’s Emergency Handler also offers a possibility of running control scans, using SUIM’s Compliance Enforcer’s rule-set, to identify unauthorized actions after an emergency has been dealt with. 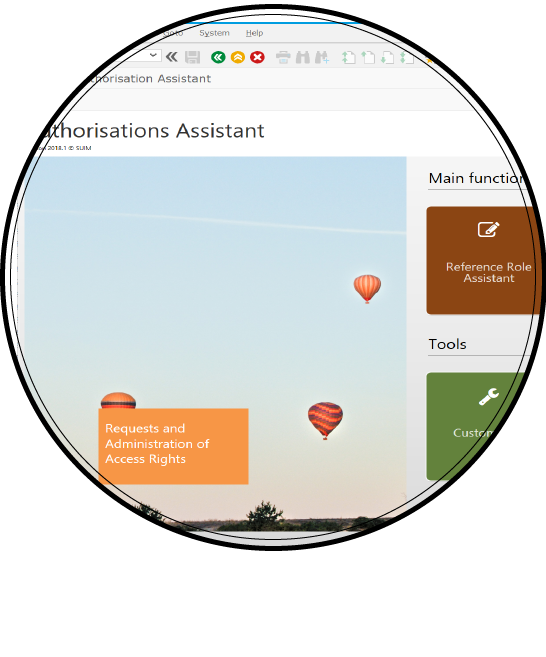 If you are in the process of validating a new role concept on SAP or want to facilitate communication between end-users and the authorisation support group, SUIM’s Authorisations Assistant is the tool you need. AA is a solution for automating and/or managing workflows related to SAP roles. Among other things, it compares two (old/new) permissions concepts related to one or all users and automatically and/or manually increases their roles in case of permissions issues. 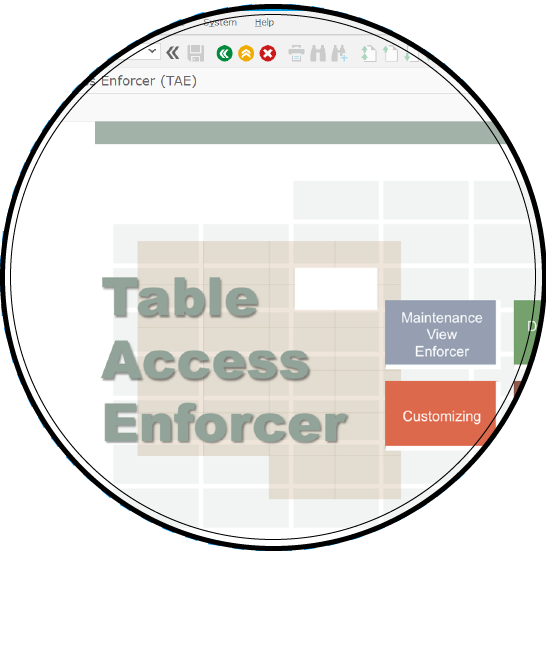 SUIM’s Table Access Enforcer allows you to bypass the problems of transactions SE16 (displaying the contents of a table) and/or SM30 (maintaining the contents of a table) in relation to permissions.